Please phone at the weekend between 8:30am and 5pm. Please note that the phone is NOT answered during the week. There is an answerphone but you need to speak very clearly. Please note your Sat Nav may take you to the Kelperland Veterinary centre (next to Banham Farm) rather than to our farm. If coming from the direction of Windsor you need to keep driving on the Forest Green Road, passing Coningsby Lane on your right. We are 100 yards further on the left. Coming from the Maidenhead/Ascot direction, drive along Forest Green Road, past a row of cottages on your left, then we are about 200 yards further on the right. If you pass Coningsby Lane on your left you have gone too far. Where do we get our horses and ponies from? There is a rumour going around that Her Majesty The Queen provided one of our horses – we couldn’t possibly comment. Other than to say to say “thank you ma’am”. 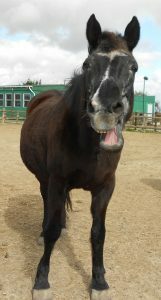 Some of our horses have come to retire at the Rangers, some of them can now only do light work or have weight restrictions. We have found through many years of experience that older horses tend to settle in best with us. This is due to the fact that they do very little during the week then are used for a few rides over the weekend. It is not enough work for younger horses but perfect for those who have ‘been there and done that’ and are looking for a quieter life. As they get older some are very good at allowing the Rangers to groom them and practice all their newly learned skills – tacking up etc. Some of the horses we have bought and some are on loan from their generous owners. There is only one requirement that we stipulate for any horse joining us, they must be rock solid and have an excellent temperament.